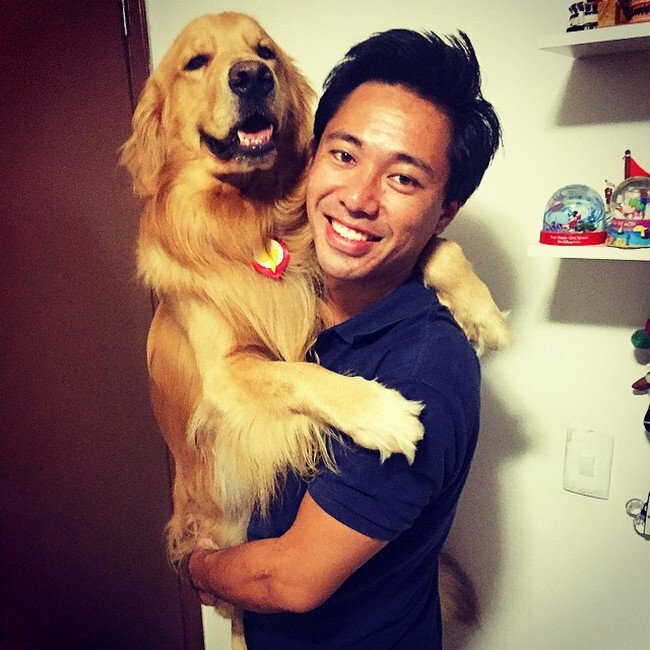 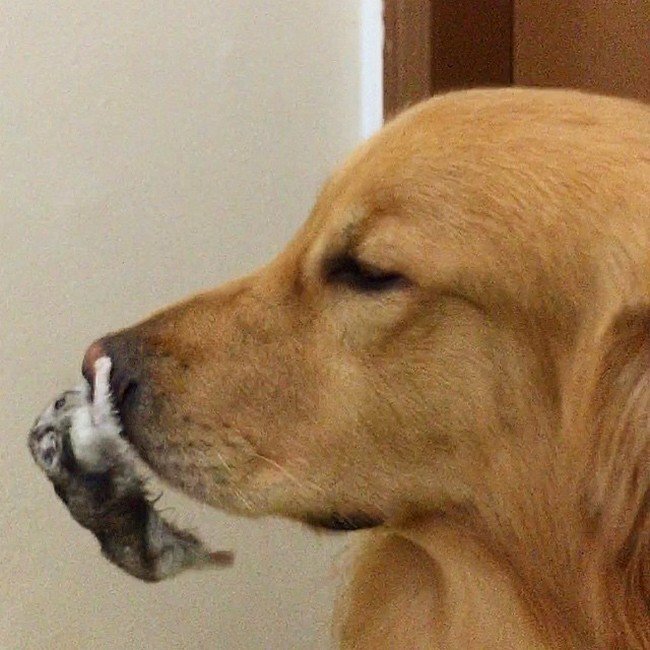 Golden Retrievers are known for their gentle and friendly disposition and Bob is no different. 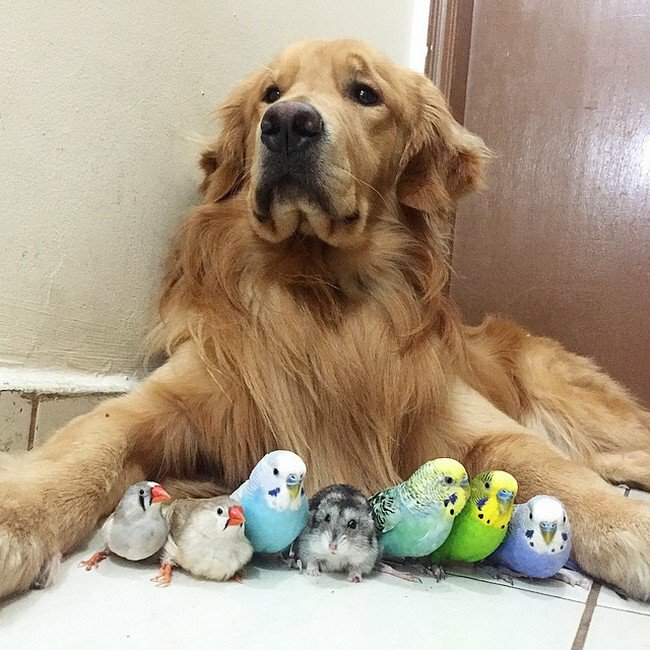 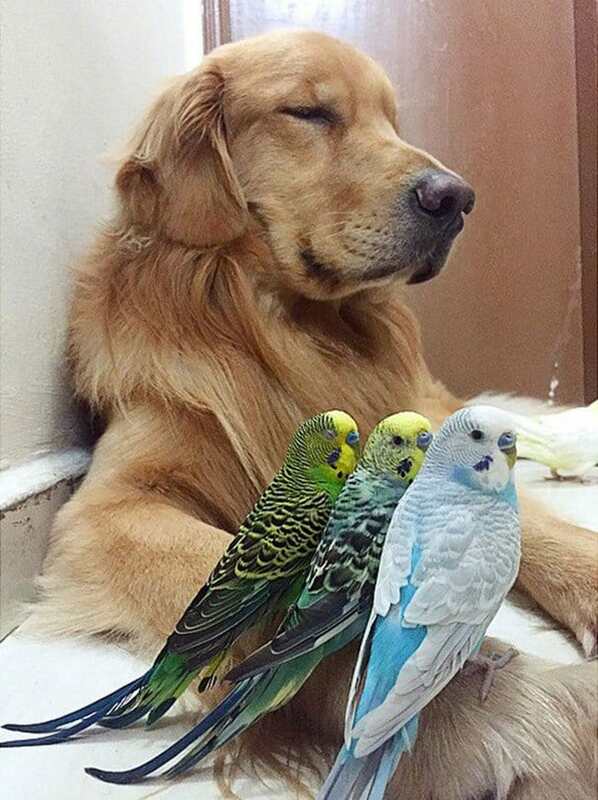 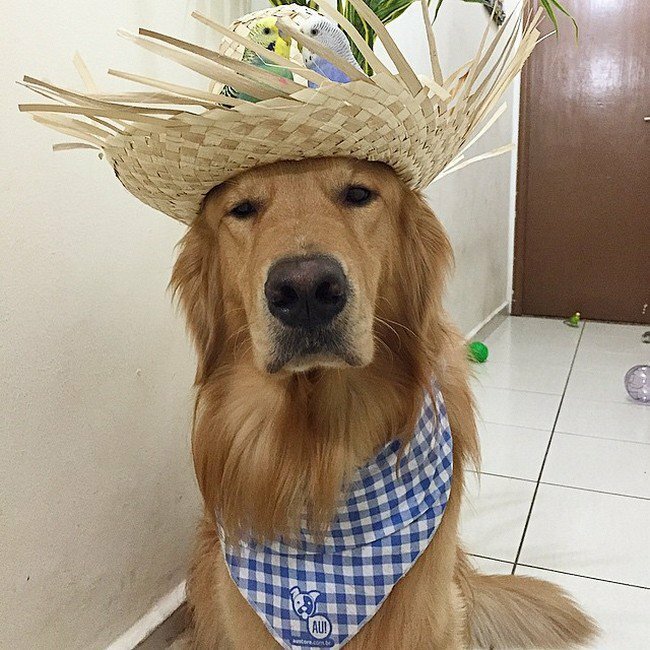 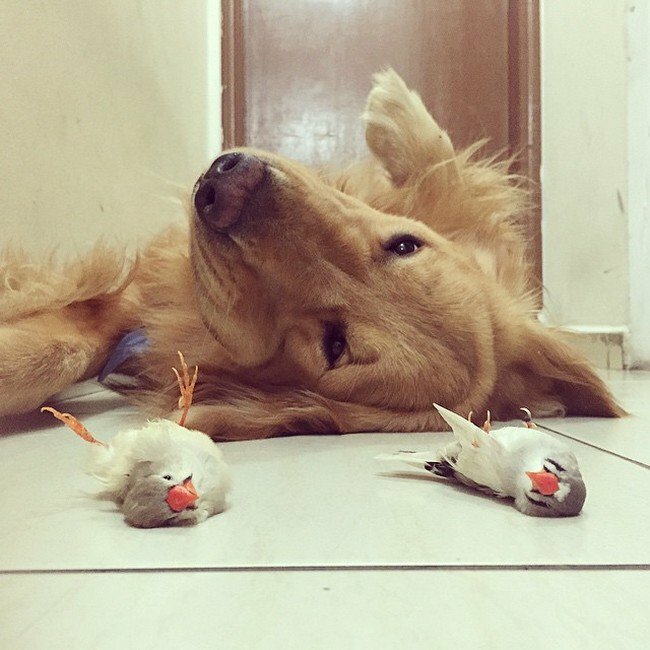 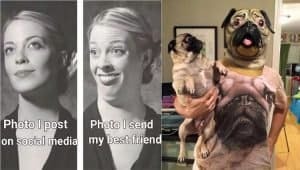 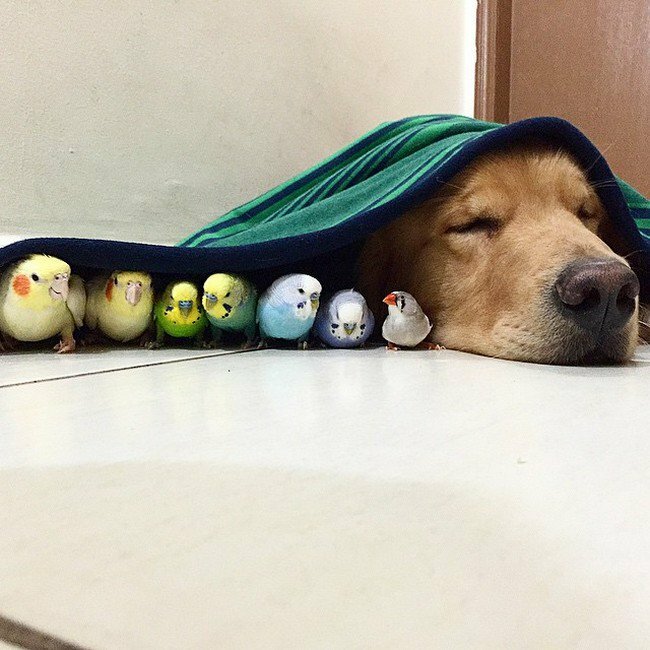 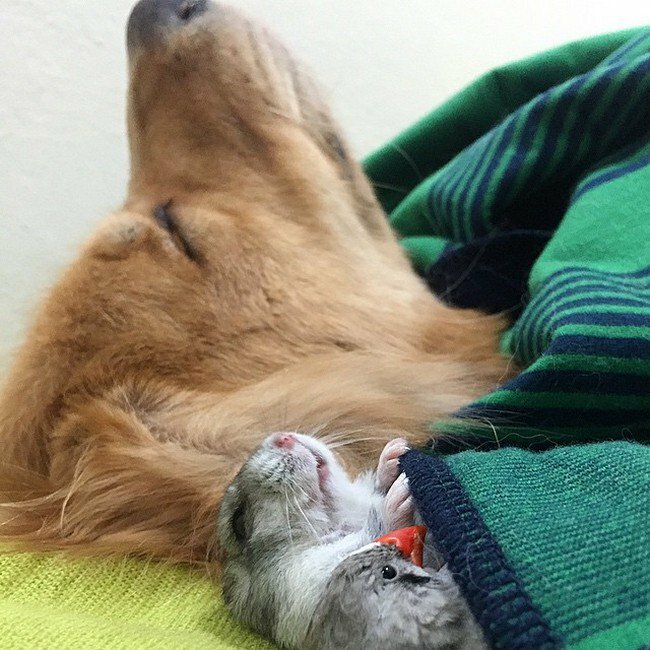 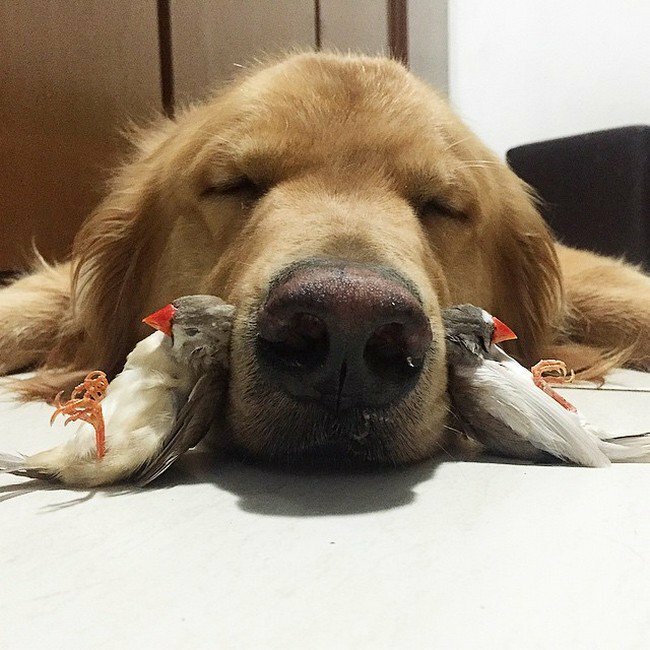 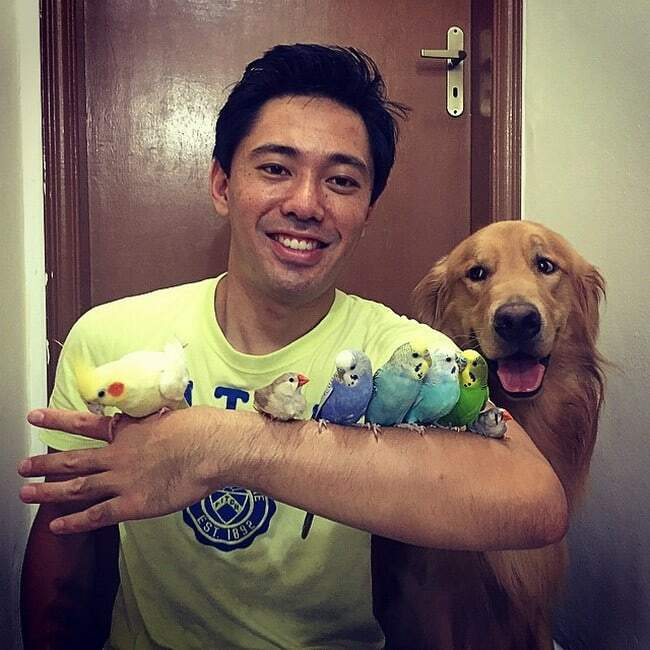 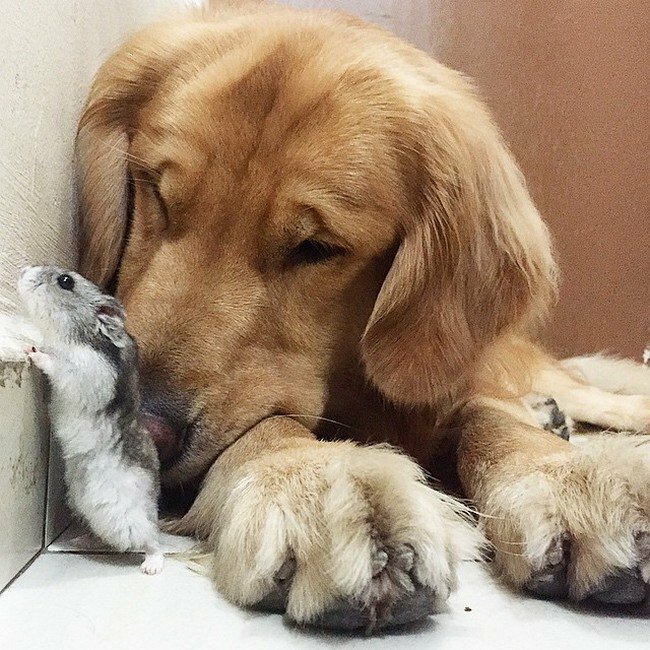 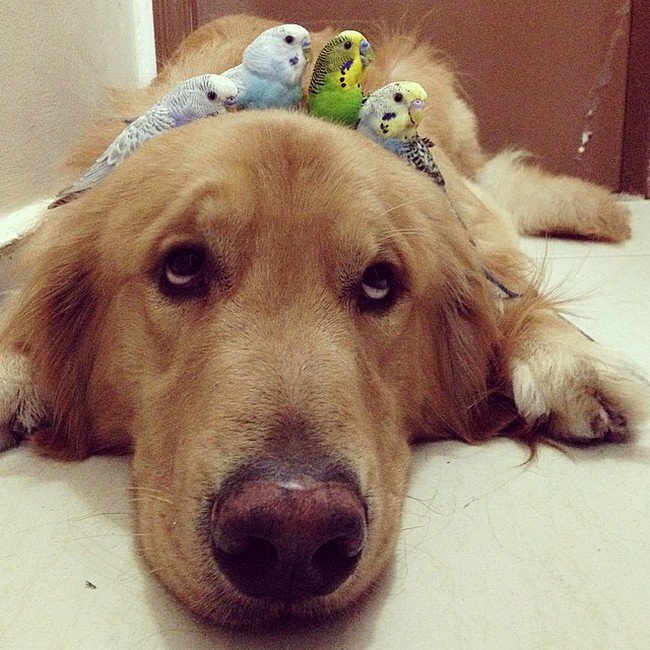 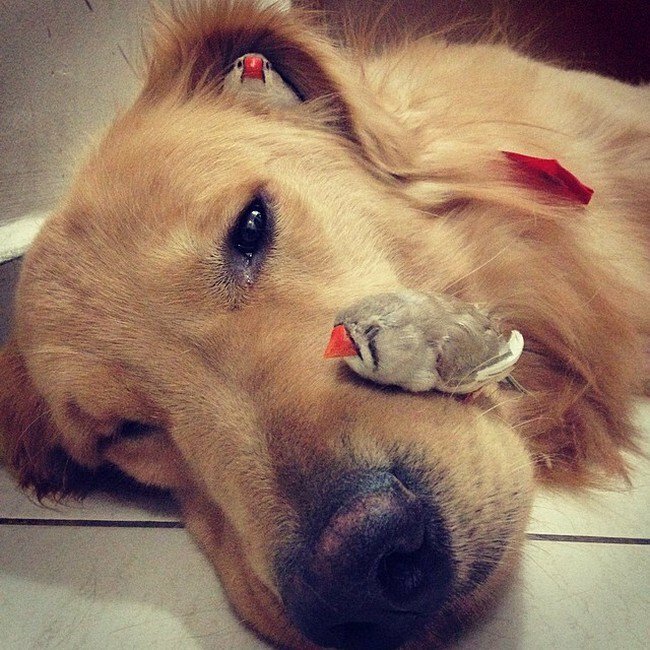 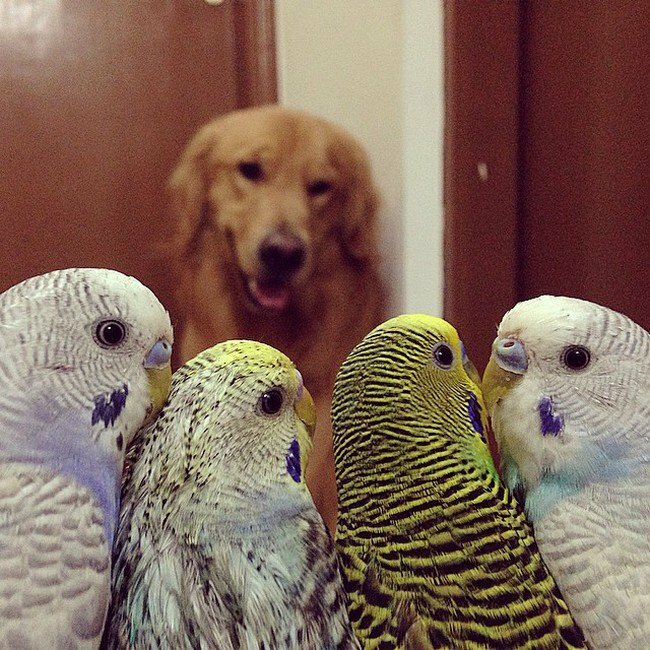 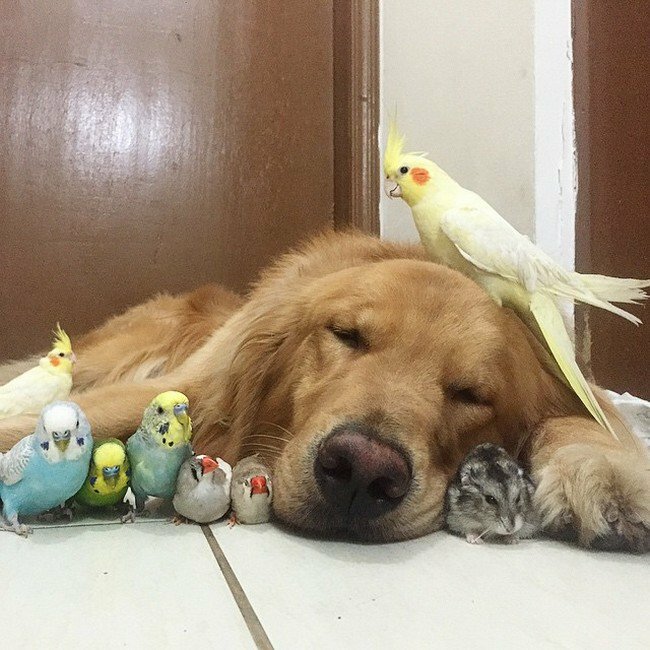 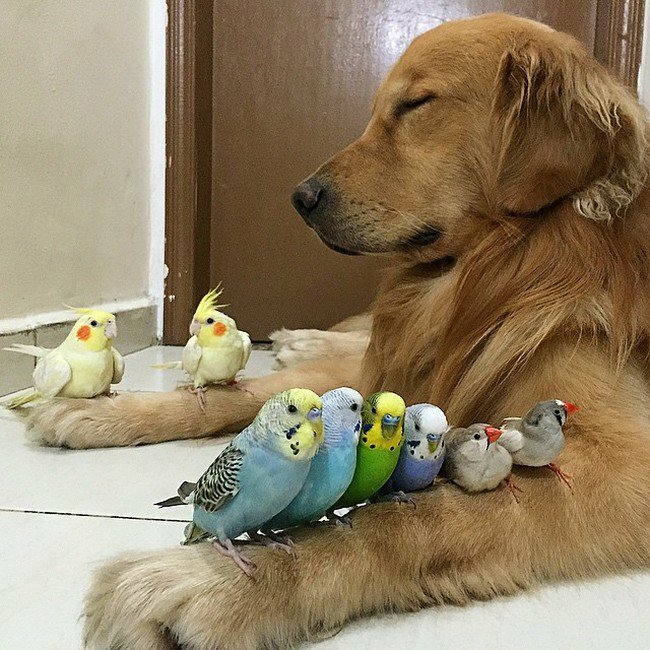 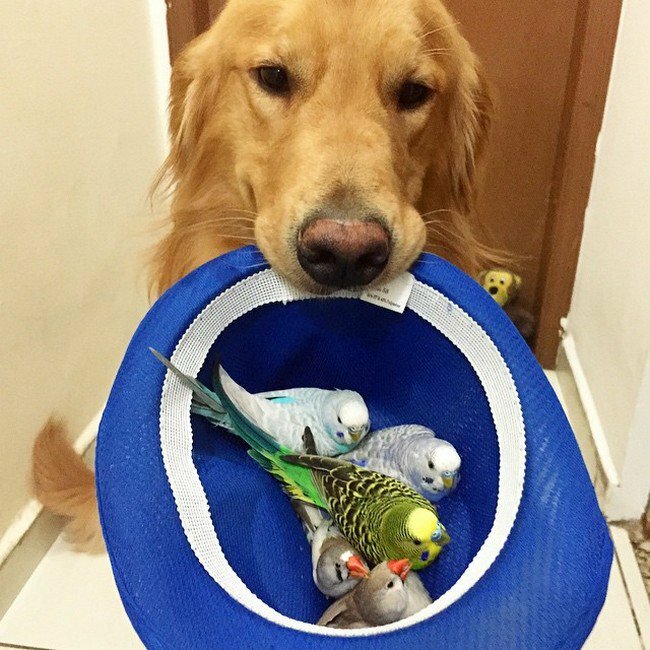 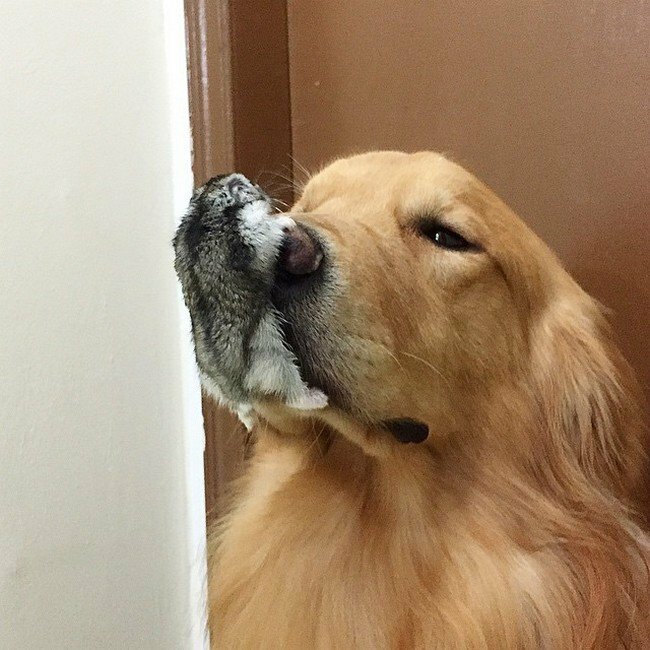 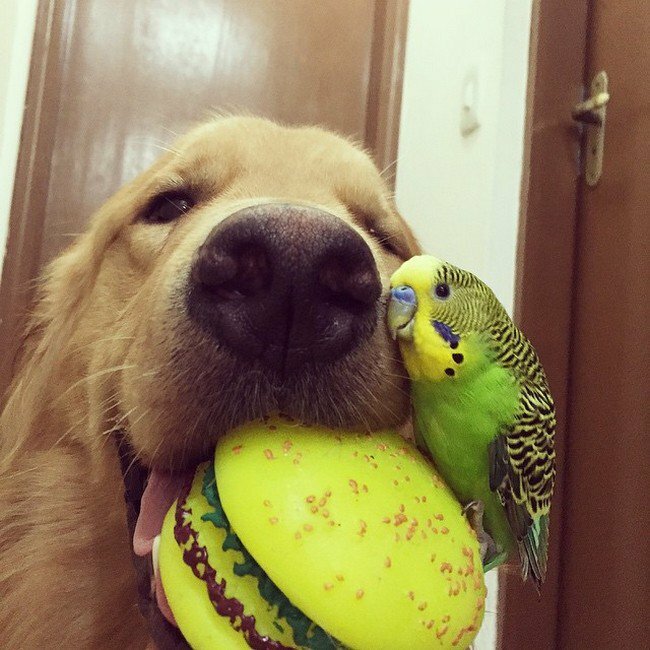 The happy pooch from Sao Paulo, Brazil lives with various pet birds and a hamster, as well as with his human. 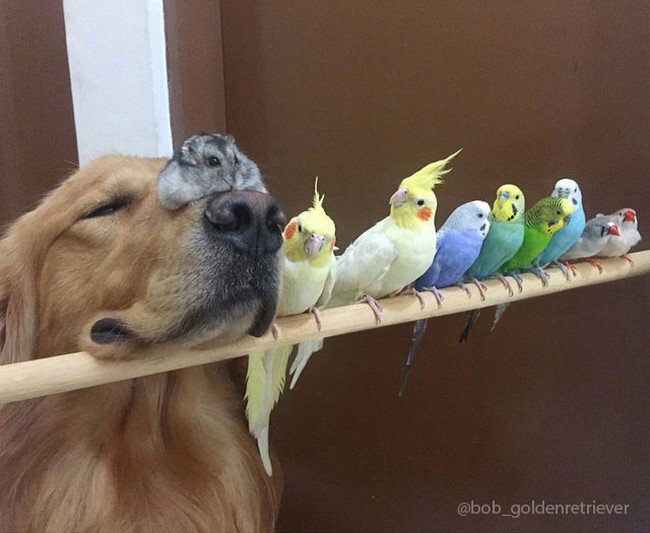 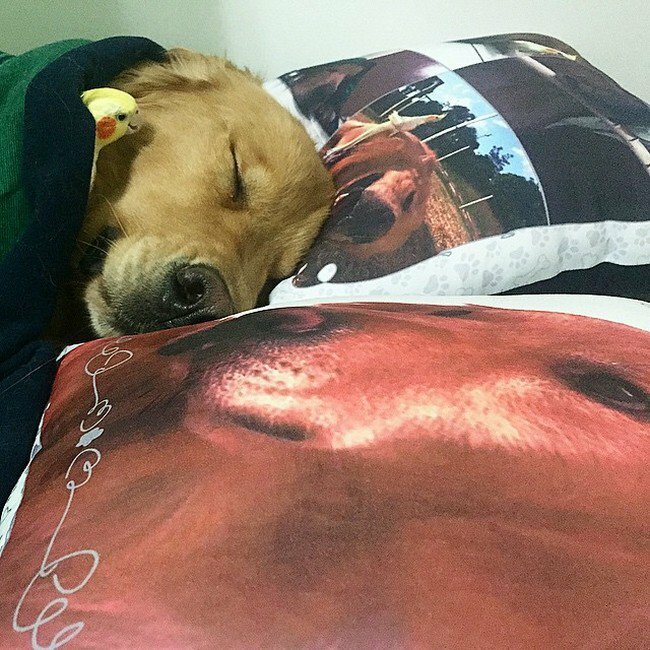 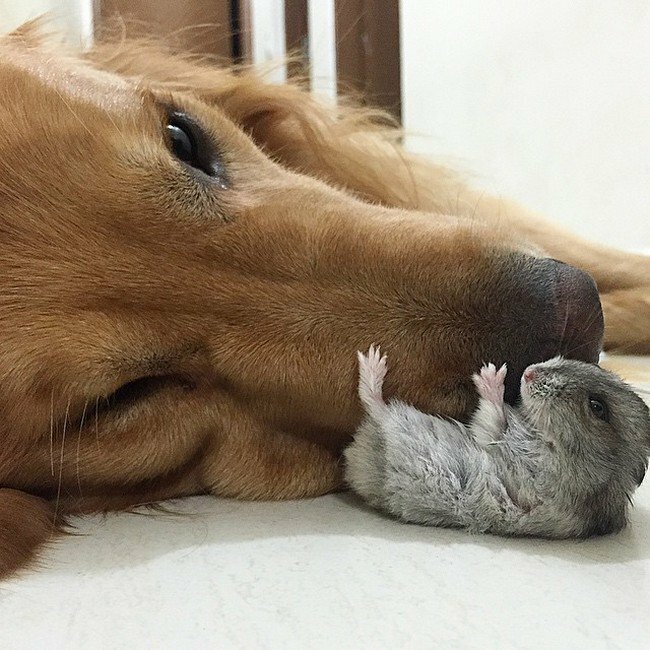 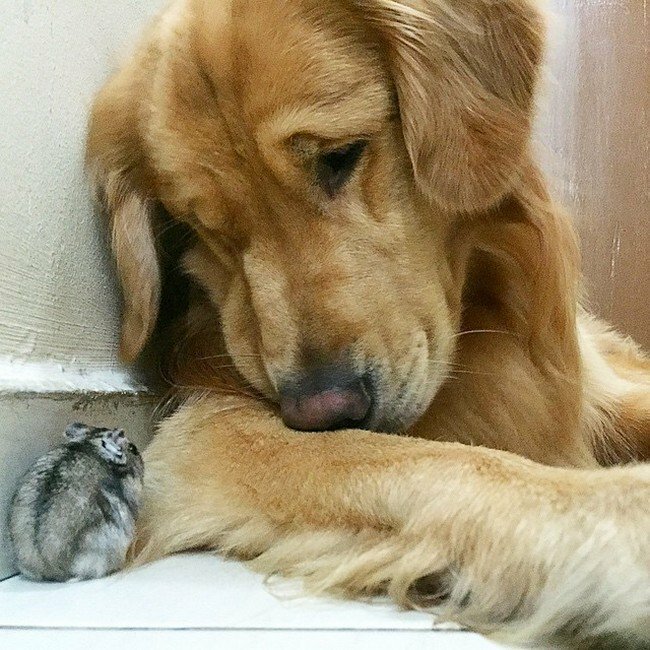 Rather than being weirded out by the animals he lives with, Bob simply adores snuggling with them on a daily basis. 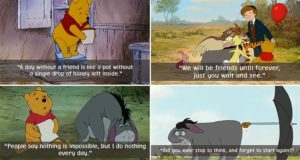 Check out the photos and link below for more!